APS, a global leader in solar microinverter technology, will showcase its new YC1000 microinverter for the domestic market at Solar Power International, October 20th to 23rd in Las Vegas. The YC1000 is the industry’s ﬁrst true 3-phase solar microinverter, handling 277/480 grid voltages with 900 watts maximum output, ZigBee communication and an integrated ground. Up to 11 units (44 modules total, 60- or 72-cell) can be linked in a single 15A circuit. 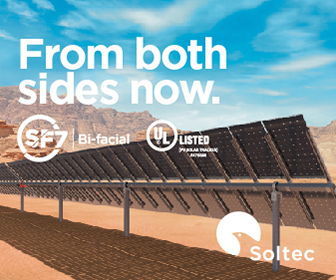 The groundbreaking unit is offered at a price point competitive with conventional “string” inverters, and is now available through the APS network of distributors and installers. Contact sales@apsamerica.com for information. Handling up to four PV modules per unit, the YC1000 microinverter offers 3-phase AC distribution designed to meet demanding commercial applications. Its proprietary, chip-based architecture was conceived and designed in the USA by APS engineers. 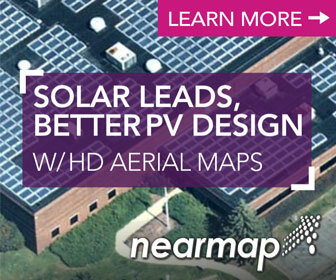 Domestic rollout follows rigorous, successful testing in large solar installations overseas. APS will showcase the YC1000 at booth no. 3124 at the SPI conference. Email sales@apsamerica.com to see the YC1000 microinverter firsthand and discuss specific project or distribution opportunities during the event. The YC1000 enters the APS microinverter line alongside the highly successful YC500, a two-module, dual-MPPT unit for residential applications and the company’s ﬂagship product. All APS microinverters are designed for integration with the APS Monitor to provide real-time data viewing, or the APS Communicator (performance data module) to offer comprehensive solar array performance monitoring from any web-enabled device. APS was founded in Silicon Valley in 2009 and is now a global leader in the development, manufacturing and marketing of microinverters based on their own proprietary, leading-edge solar technology. APS America, representing APS in the US market, is based near Seattle. APS ranked No. 2 in global market share among top microinverter suppliers by shipments in 2013 (source: GTM Research).